More than 30,000 plastic surgeries are made a year in Argentina, which places the country on the 5th world position. They arrive at the clinic on Friday night and go back to work or to university on Monday. Two sizes more for their breasts; two sizes less for their hips, thighs, buttocks, more fleshy lips, a thinner nose. In Buenos Aires, you have to queue to undergo a plastic surgery. It is not only a matter for women, there are more and more men that sculpt their bodies that they say they are not perfect. Plastic surgery is something very old. What it is new is the variety and short age of the patients. In the past, they would go to have their not-so-nice noses corrected or to have a second youth erasing their wrinkles when they were fifty. Nowadays, according to the Argentine Society of Plastic Surgery, the average age for women undergoing a plastic surgery is 25 years old. Some of them are even younger and try a liposuction with their parents’ consent. A true social phenomenon. Which, in part, explains why plastic surgeries are so cheap: they charge about 3,000 dollars for breast prosthesis. 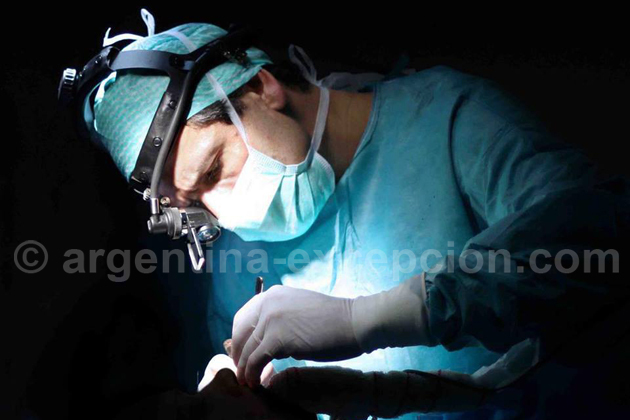 Economic arguments encourage the development of the esthetic tourism in Argentina, as this type of surgery costs four times more in Europe or North America. “When someone decides to undergo a plastic surgery, they must understand that it is like going shopping,” warns the Argentine Society of Plastic Surgery. More than 30,000 plastic surgeries are made a year in Argentina, which places the country on the 5th world position. A tendency for the physical appearance could be compared to the tendency for psychoanalysis, but that’s another history.